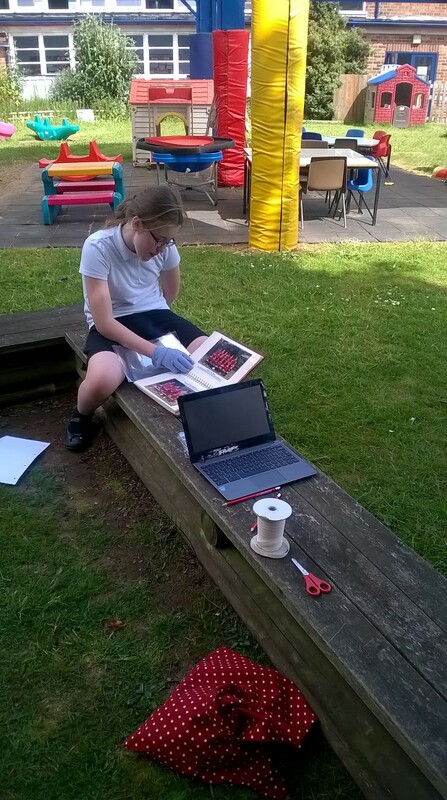 Outside Archive Club – We can Archive anywhere! It’s a very warm day here at Paganel School today and even our lovely cool archive room was a bit stuffy so we found a cool (and clean!) space to work under the trees in the Early Years play area. Harley is still repackaging photos – battling with gloves in this weather which is dedication! She’s doing 1997-98, lots of team photos for football and netball, school play photos, special days and trips. Ashfaq completed the cataloguing for Make do and Mend project that happened last year and then labelled and packaged photos of staff for 2015. 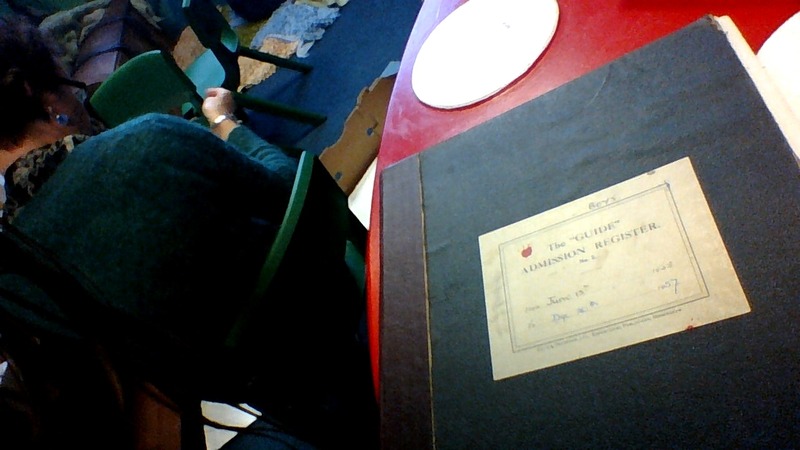 Research about a old pupil from 1938 called Thomas B. Recently we have been finding out about this man called Thomas. He had been looking on our blog and rang the school. Next we will contact him to see what he wants us to do and see if he would like to come and look around the school and look in our archive room. Our deputy head Mr Philip created the following blog. 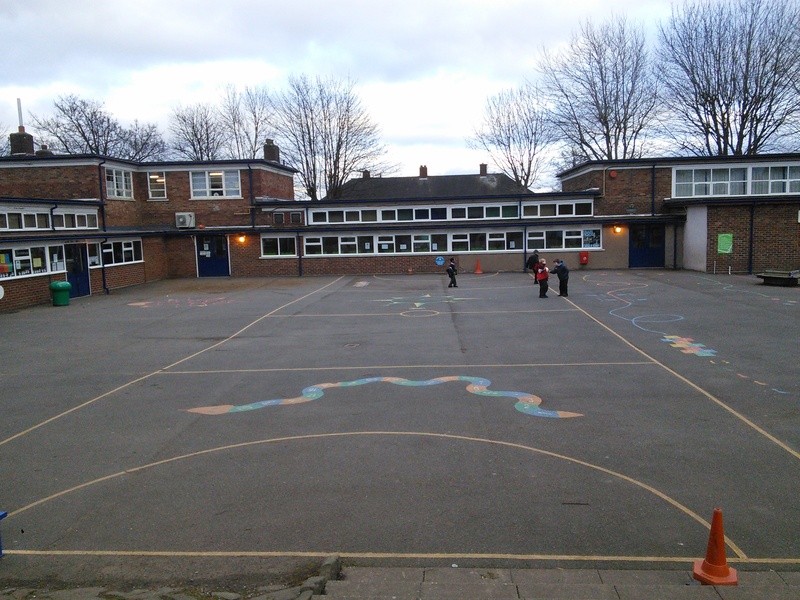 The Brainchild of three Year 5 pupils, Archaeology Club got underway two weeks ago. 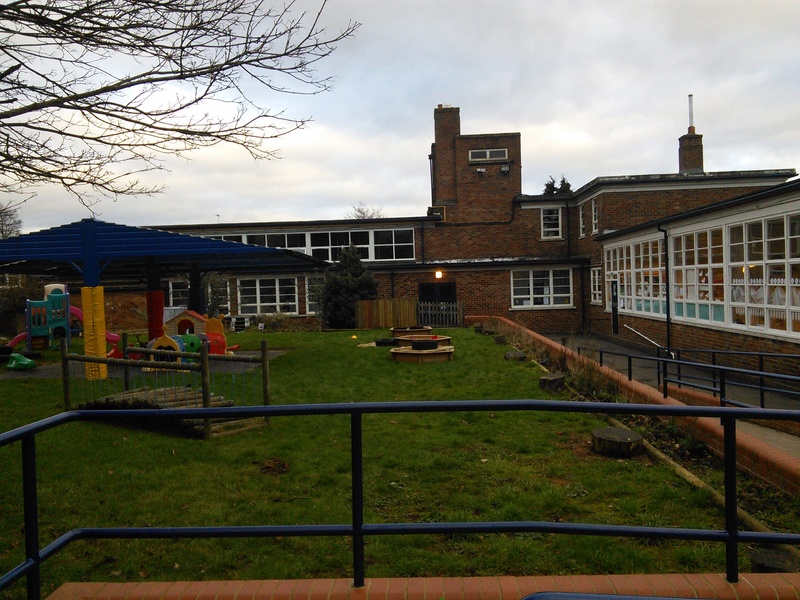 Our first session wasn’t much of a success – we managed to dig up some of Mrs Hunt’s bulbs in the Quadrangle and we found a rock that must of had a large amount of metal in it, since it made the metal detector beep. And yes – we have our first Paganel Primary School metal detector – enabling us to sweep the ground for treasure. The second week was much better. We had heard, via Mr Grinham, the site supervisor, that there was an old air raid shelter buried somewhere at the back of the huts. So we begun there, Alfie sweeping the ground with the metal detector and almost instantly we began to hear lots of beeps. A short bit of digging later and we hit something hard – it was concrete buried about 10 cm down and with rods of rusty iron running through it – reinforced concrete – just the sort of thing that might have been used to make a school air raid shelter in 1939. But why an archaeology club, I hear you ask? Well first of all there are three enthusiastic archaeologists in Year 5 – Alfie, Cameron and Reece who have all had a keen interest in history, finding buried treasure and generally digging up the ground since they were in Year 3. Secondly we had heard from the curator of Weoley Castle Ruins that she suspected there may have been an Anglo-Saxon settlement on the ridge above the the location where the Weoley Castle lies – the very ridge upon which school is built. So with the prospect of our very own Stafford shire Hoard in our mind (with admittedly a very low probability) we set out on the Archaeology Club. 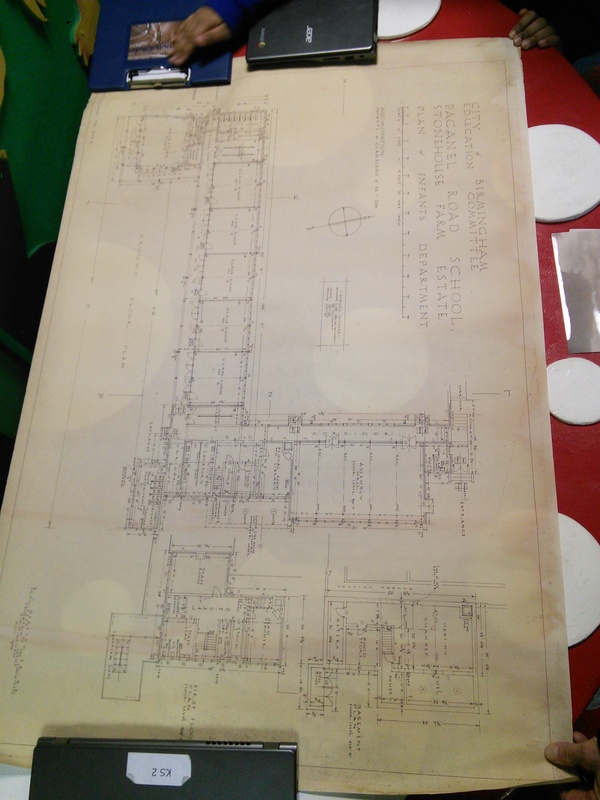 Last week our deputy head (Mr.Philp) located the original plan layout of the previous version of Paganel Primary school, from 1936. 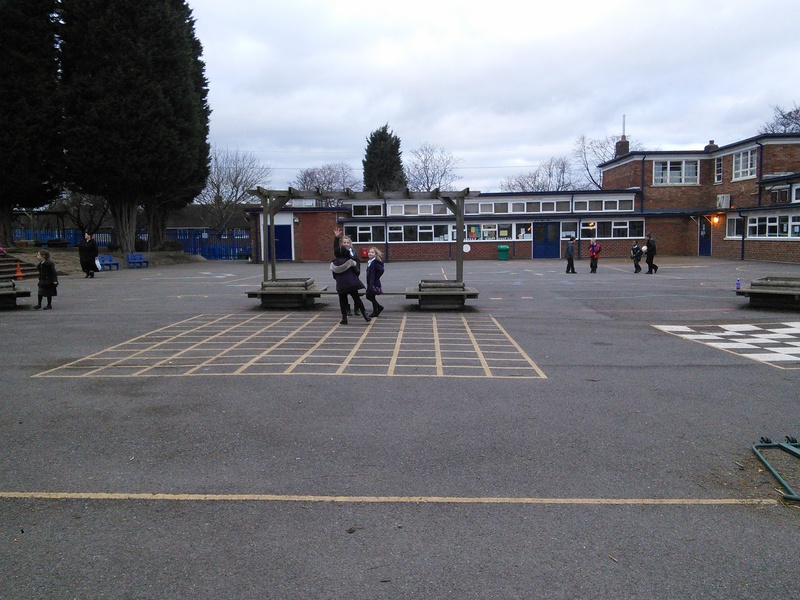 We studied the plans and went around the school and tried to find what has changed. Our biggest mystery is what happened to the the cloak room. Sam’s theory is that the cloakroom was changed into the staff room. This is still to be explained. We’ll let you know what we discover. 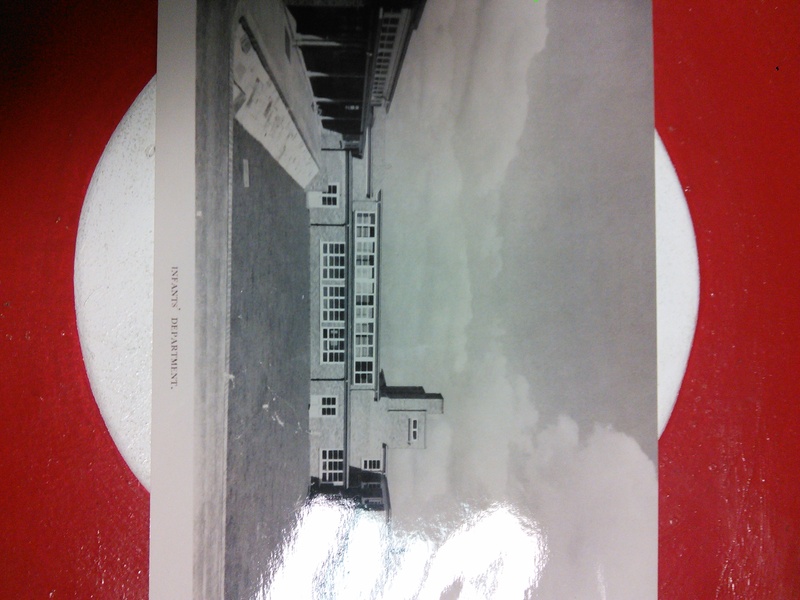 We took photographs of the plans and places of the school which have now changed. Our new oral history project is based on Paganel residential trips (Kings wood). 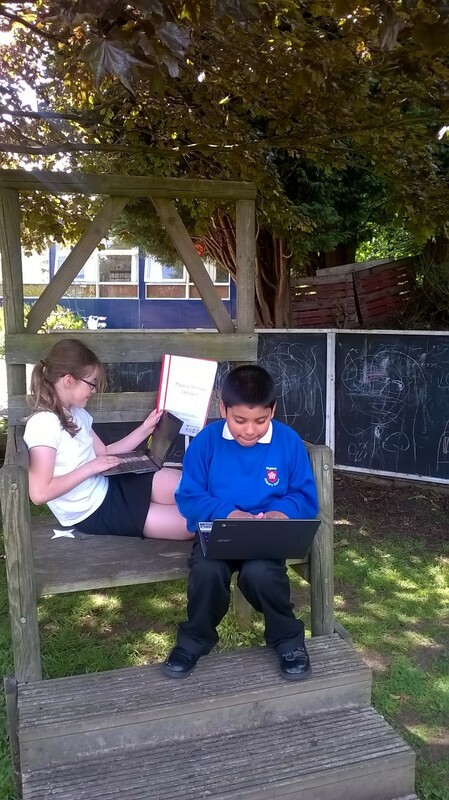 We have been planning to interview students including teachers to describe the activities of their residential trip. Everyone is involved in that process. 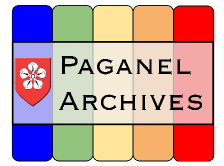 In addition to this, our second oral history project is about Paganel’s after school clubs. We are also planing to interview Cameron Spurrier as he created the brand new archaeology club which has already started. Our instructor and supervisor Nikki Thorpe will be supporting us during this process and we hope you will give us the extra support we need.